Dr. Pareek has been a full-time faculty member since completing his Minimally Invasive and Endourology fellowship at the University of Wisconsin in 2005. Dr. Pareek is the director of the Brown medical student urology course (URO-415). He is an active participant in the Brown Medical Student Mentoring Program. Dr. Pareek is particularly passionate about resident teaching and is actively involved with the residents as a clinical and research mentor. 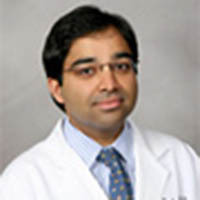 Dr. Pareek is a member of the urology staff at Rhode Island Hospital, The Miriam Hospital, Providence VA Medical Center and Memorial Hospital of Rhode Island.